Joint funding for the 77,000 square foot Facility was announced in January 2013 and will support the expansion of cargo operations at the Airport, stimulate job creation and economic development for the City of Hamilton and greater region. The Facility is slated to open in Q2 2015. 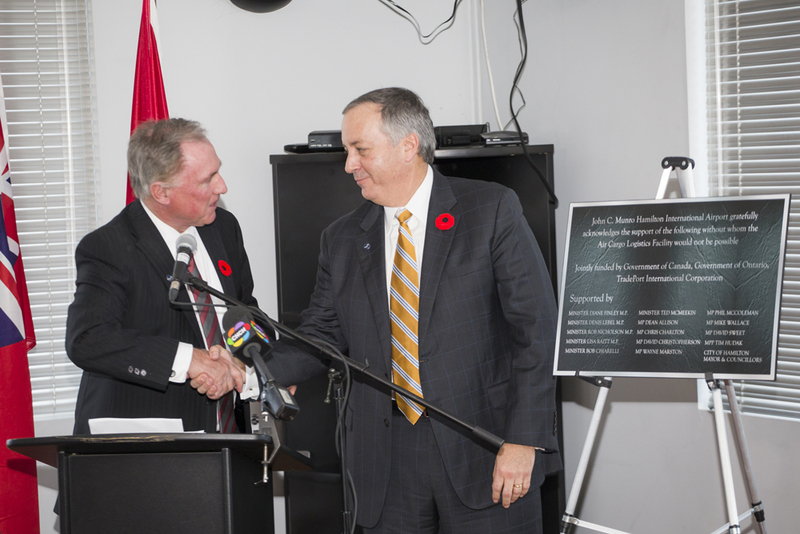 At today’s ceremony, Hamilton International Airport Chairman, Ron Foxcroft; Vantage Airport Group President and CEO, George Casey, and Hamilton International Airport President and CEO, Frank Scremin, unveiled a plaque which will hang in the Air Cargo Logistics Facility, thanking the federal and provincial governments, as well as the City of Hamilton, for their support of the project. Present at today’s announcement were Minister Diane Finley, Minister Ted McMeekin, MPs Dean Allison, David Sweet, Mike Wallace and Phil McColeman, and Mayor Bob Bratina. 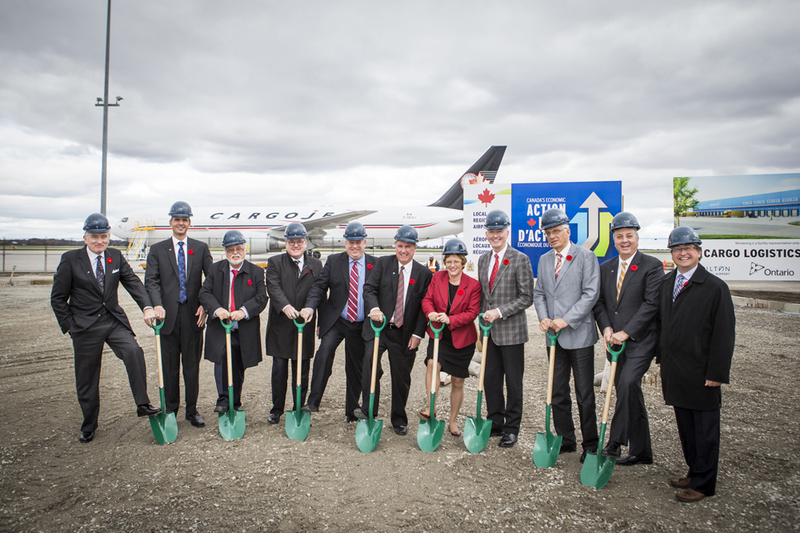 John C. Munro Hamilton International Airport is a growing passenger airport and thriving cargo hub. In 2013, over 340,000 passengers used Hamilton International and over 75,000 tonnes of cargo was moved through the Airport, making it one of the largest cargo airports in Canada. Hamilton International’s strategic location and uncongested 24/7 operations make it an attractive option for both passengers and cargo carriers looking to serve the Southern Ontario market. The Airport’s tie to Vantage Airport Group – an industry leading investor, developer and manager of airport assets – allows Hamilton International to incorporate best-in-class practices from around the world into its operations.